With OIKE film technology it is possible to make windows any color. Our Window Film products can also add functionality to adjust the amount of sunlight passing through, increase impact strength, or block ultraviolet or infrared rays. 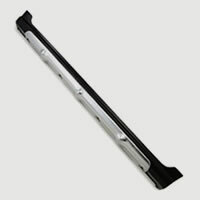 ECOMOLD vapor deposited film makes it possible to add a metallic sheen to three-dimensional molded parts. With its lustrous metallic gloss, ECOMOLD film is an attractive alternative to conventional wet metal plating processes for plastics and other materials, which can be applied as part of the plastic molding process. (simultaneous molding system of plastic with ECOMOLD) Nowadays, many industries are beginning to take notice of this new solution, as concern mounts about environmental aspects such as ease of disposal. We also produce strong-adhesion metal vapor deposited film and extremely durable and rigid hard coated film. 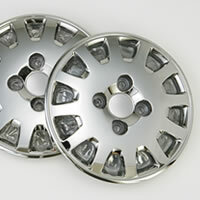 These are used for applications such as weather-resistant exterior moldings for automobiles. Based on our core dry and wet coating technologies, we develop products with multifarious and infinite possibilities for industrial fields including construction, car parts, and electrical materials. These functional film products are used in automobiles and buildings to help save energy and prevent shattering. Available functions include the ability to allow through visible light while blocking heat, anti-abrasion properties, and prevention of static buildup. This environmentally friendly metallic vapor deposited film is designed expressly for use in molding and is an excellent alternative to conventional metal plating. It provides the design freedom to apply a beautiful metallic sheen to three-dimensional surfaces and is suitable for vacuum molding, injection molding, hot press molding, and blow molding processes. 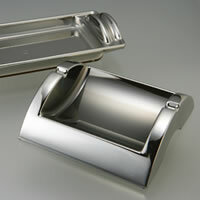 A variety of surface finishes are available, including mirror, half mirror, hairline look, and matte. With dry coating technology, metals suitable for different applications can be applied to substrates with very strong adhesion. Applications include vapor deposited film for use as labels and chromium sputtered film for use on automobile moldings. Alternately, wet coatings of various types can be applied in a class 100 clean room. The range of possible functions includes anti-abrasion, anti-static, anti-soiling, non-reflective, and solvent resistant properties.